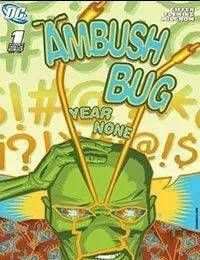 Everyones favorite Bug is back, courtesy of the original AMBUSH BUG team of Keith Giffen and Robert Loren Fleming! Cities will be destroyed! Cats and dogs will live in sin! And every unanswered question of the DC Universe will be answered!